Description Barstool with a minimalist style based on clean, straight lines. 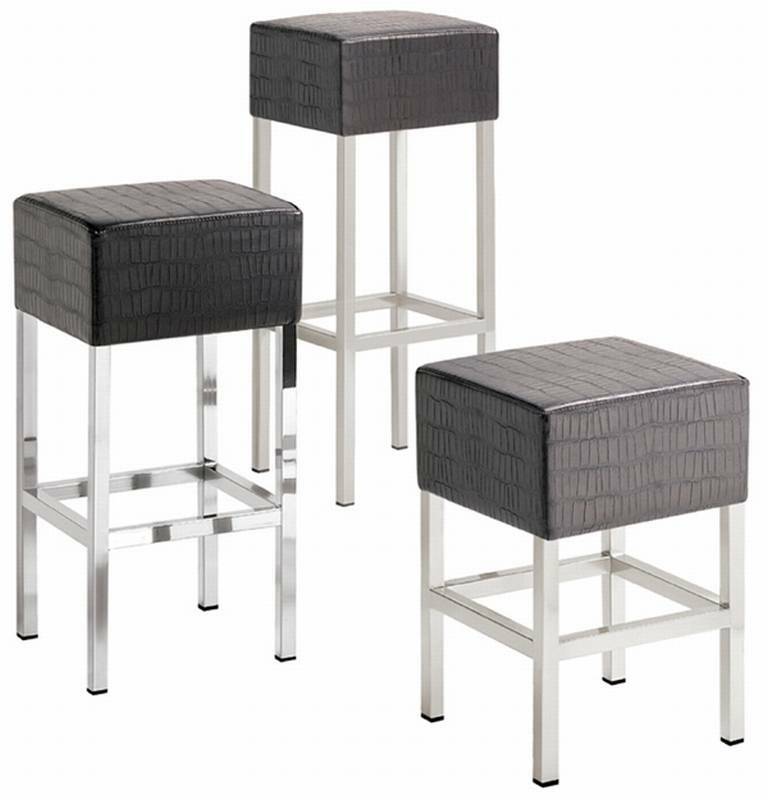 Available in a choice of 3 heights with a satin or chromed frame and an upholstered seat in fabric, leather or simil leather (see sample below for all options). Equally suitable for everyday use in the home or a commercial setting.